I have a keen interest in helping people connect on both a physical and emotional level and this shows through my work. Covering every aspect of adult relationships, from dating to marriage and beyond, in a down-to-earth and straight forward manner to help people have the best and healthiest relationship possible. Although my main focus is the Adult market, I also have experience writing for other industries including Self-help, Spirituality, Product comparison, Business start-up and development as well as many other industries. Your website is my main priority. As such I like to work with each client on an individual basis, getting to know your business and the best way for me to help. This is the most effective way for content to be tailored to the needs of the client. I strongly believe that all content must be original and always hand written. You will never find a piece of content from Adult Retail Writer anywhere else on the Internet, to make sure of this all content is checked with Copyscape. I was born and raised in London and am now living in Milton Keynes UK. 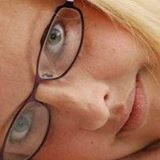 I am a mother and Grandmother as well as a freelance writer, with 4 years’ experience writing web content, blogs, articles and product descriptions for the Adult market. My sole aim is to provide the best content in the best way, fairly and competently.